Conveniently located just a short walk to North Essendon Village, Doutta Galla Tennis and Bowls Clubs plus Keilor Road shops, cafes and 59 tram service, this two bedroom apartment will appeal to investors and new buyers seeking a low maintenance property, alternatively, it may resonate with renovators looking to modernise. It’s conveniently located within a small complex of only eight on the ground floor and also enjoys generous natural light, assuring peace and tranquillity. 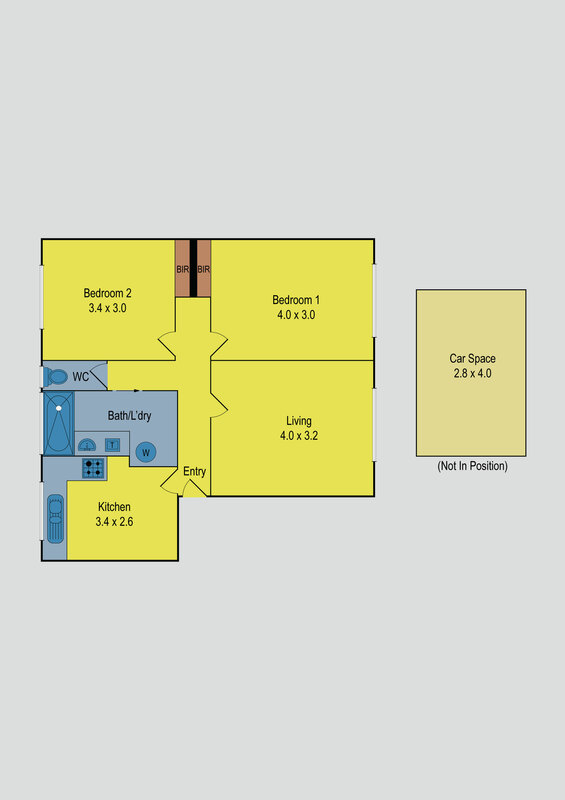 The floor plan complements two good sized bedrooms featuring mirrored built-in wardrobes with a spacious lounge plus a separate kitchen/meals. There’s also laundry function in the bathroom and a carport.